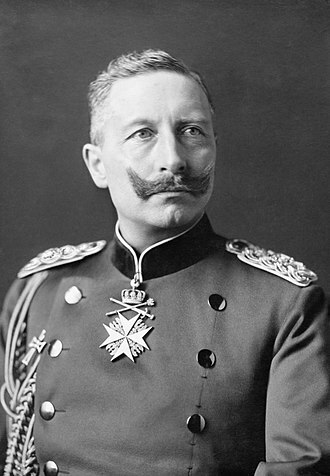 The Kingdom ended in 1918 along with other German monarchies that collapsed as a result of the German Revolution. 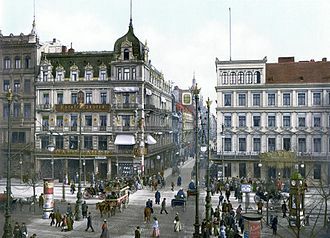 In the Weimar Republic, the Free State of Prussia lost nearly all of its legal and political importance following the 1932 coup led by Franz von Papen. 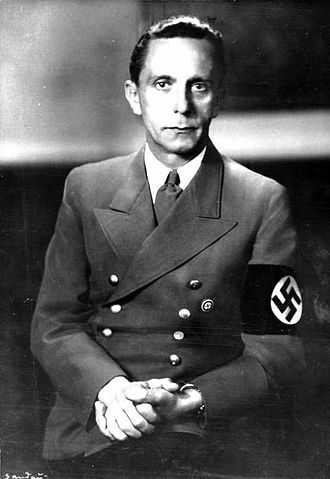 Subsequently, it was effectively dismantled into Nazi German Gaue in 1935. 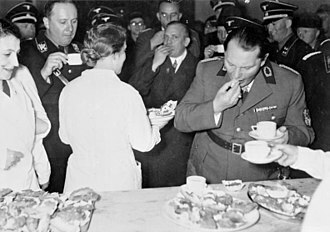 Nevertheless, some Prussian ministries were kept and Hermann Göring remained in his role as Minister President of Prussia until the end of World War II. 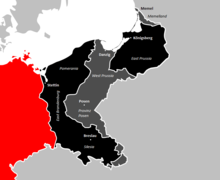 Former eastern territories of Germany that made up a significant part of Prussia lost the majority of their German population after 1945 as the People's Republic of Poland and the Soviet Union both absorbed these territories and had most of its German inhabitants expelled by 1950. Prussia, deemed a bearer of militarism and reaction by the Allies was officially abolished by an Allied declaration in 1947. 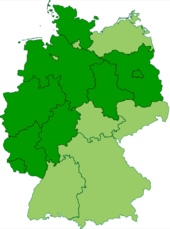 The international status of the former eastern territories of Germany was disputed until the Treaty on the Final Settlement with Respect to Germany in 1990, while its return to Germany remains a topic among far right politicians, the Federation of Expellees and various political revisionists. 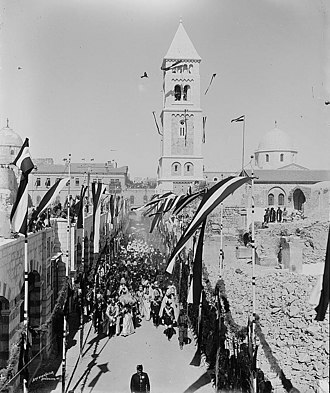 In 1211, Andrew II of Hungary granted Burzenland in Transylvania as a fiefdom to the Teutonic Knights, a German military order of crusading knights, headquartered in the Kingdom of Jerusalem at Acre. 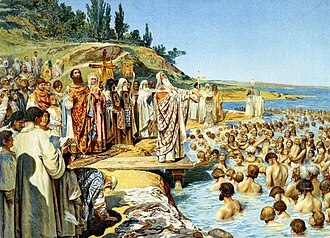 In 1225, he expelled them again, and they had to transfer to the Baltic Sea. 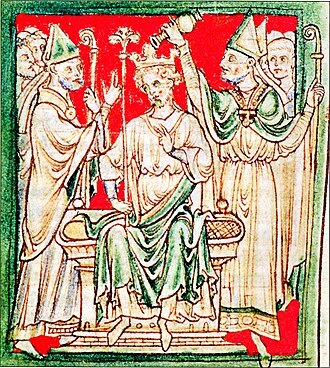 Konrad I, the Polish duke of Masovia, unsuccessfully attempted to conquer pagan Prussia in crusades in 1219 and 1222. 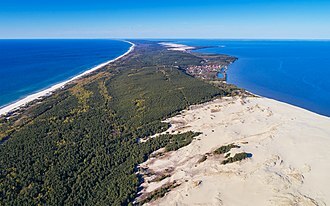 In 1226, Duke Konrad invited the Teutonic Knights to conquer the Baltic Prussian tribes on his borders. 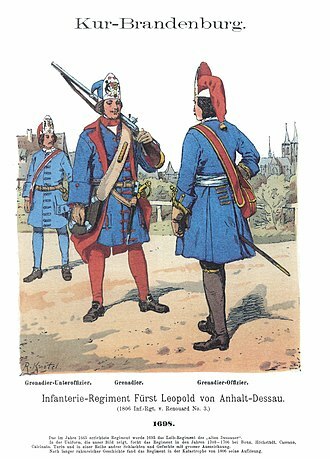 During 60 years of struggles against the Old Prussians, the Order created an independent state that came to control Prūsa. After the Livonian Brothers of the Sword joined the Teutonic Order in 1237, they also controlled Livonia (now Latvia and Estonia). 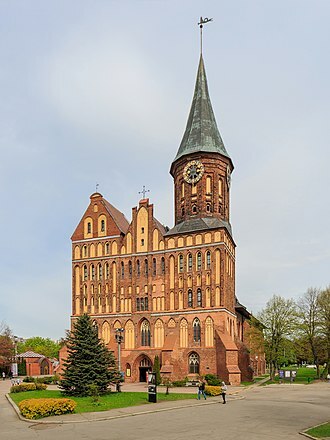 Around 1252, they finished the conquest of the northernmost Prussian tribe of the Skalvians as well as the western Baltic Curonians, and erected the Memel Castle, which developed into the major port city of Memel (Klaipėda). The final border between Prussia and the adjoining Grand Duchy of Lithuania was determined in the Treaty of Melno in 1422. 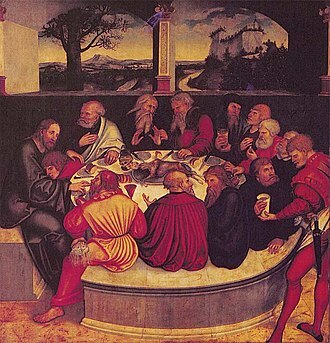 The Hanseatic League was officially formed in northern Europe in 1356 as a group of trading cities that came to hold a monopoly on all trade leaving the interior of Europe and Scandinavia and on all sailing trade in the Baltic Sea for foreign countries. 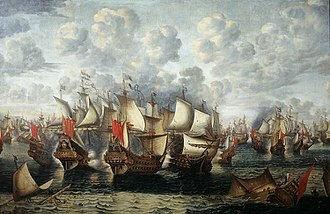 The businessmen of the interiors of Sweden, Denmark, and Poland came to feel oppressed by the Hanseatic League. 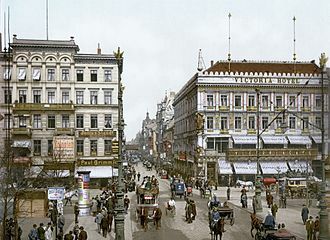 In the course of the Ostsiedlung (German eastward expansion) process, settlers were invited, bringing changes in the ethnic composition as well as in language, culture, and law. As a majority of these settlers were Germans, Low German became the dominant language. Brandenburg-Prussia is the historiographic denomination for the Early Modern realm of the Brandenburgian Hohenzollerns between 1618 and 1701. Another consequence of the intermarriage was the incorporation of the lower Rhenish principalities of Cleves, the Thirty Years War was especially devastating. The Elector changed sides three times, and as a result Protestant and Catholic armies swept the land back and forth, burning, seizing men, upwards of half the population was killed or dislocated. 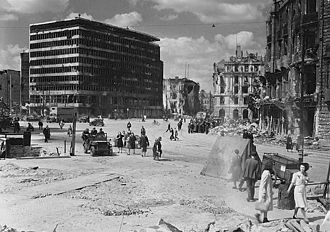 Berlin and the major cities were in ruins, and recovery took decades. 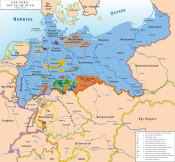 By the Peace of Westphalia, which ended the Thirty Years War in 1648, Brandenburg gained Minden and Halberstadt, the succession in Farther Pomerania and the Duchy of Magdeburg. With the Treaty of Bromberg, concluded during the Second Northern War, the Treaty of Saint-Germain-en-Laye expanded Brandenburgian Pomerania to the lower Oder. 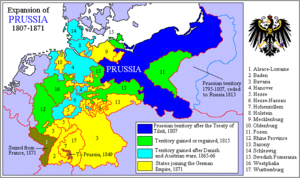 The second half of the 17th century laid the basis for Prussia to become one of the players in European politics on. Brandenburg-Prussia established a navy and German colonies in the Brandenburger Gold Coast, Frederick William started to centralize Brandenburg-Prussias administration and reduce the influence of the estates. In 1701, Frederick III, Elector of Brandenburg, succeeded in elevating his status to King in Prussia, from 1701 onward, the Hohenzollern domains were referred to as the Kingdom of Prussia, or simply Prussia. 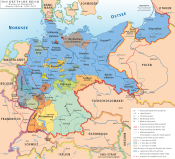 Legally, the union between Brandenburg and Prussia continued until the dissolution of the Holy Roman Empire in 1806. However, by time the emperors overlordship over the empire had become a legal fiction. 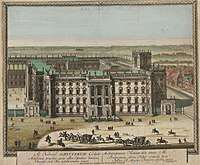 Hence, after 1701, Brandenburg was de facto treated as part of the Prussian kingdom, the Margraviate of Brandenburg had been the seat of the main branch of the Hohenzollerns, who were prince-electors in the Holy Roman Empire, since 1415. In 1525, by the Treaty of Krakow, the Duchy of Prussia was created through partial secularization of the State of the Teutonic Order. 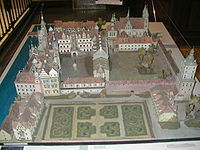 It was a vassal of the Kingdom of Poland and was governed by Duke Albert of Prussia, on behalf of her mother Elisabeth of the Brandenburgian Hohenzollern, Anna Marie of Brunswick-Lüneburg became Alberts second wife in 1550, and bore him his successor Albert Frederick. Kaliningrad Oblast is a federal subject of the Russian Federation that is located on the coast of the Baltic Sea. As an oblast, its status is equal to each of the other 84 federal subjects. Its administrative center is the city of Kaliningrad, formerly known as Königsberg and it is the only Baltic port in the Russian Federation that remains ice-free in winter. According to the 2010 census, it had a population of 941,873, the oblast is an exclave so visa-free travel to the main part of Russia is only possible by sea or air. 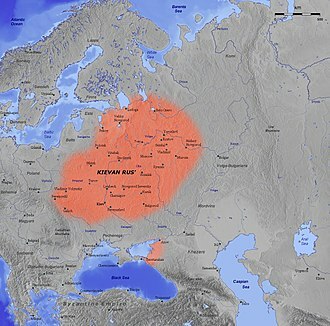 The territory was part of East Prussia. With the defeat of Nazi Germany in 1945, the territory was annexed by the Soviet Union, following the post-war migration and expulsion of the German-speaking population, the territory was populated with citizens from the Soviet Union. Today, only a few thousand ethnic Germans remain, most of recent immigrants from other parts of the former Soviet Union. 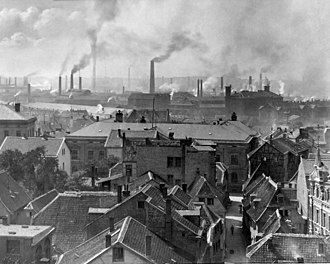 Early in the 21st century, the hitherto flagging economy of Kaliningrad Oblast became one of the best performing economies in Russia and this was helped by a low manufacturing tax rate related to its Special Economic Zone status. 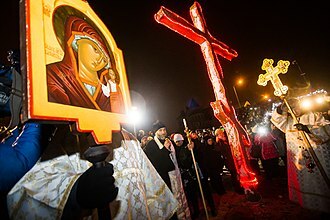 As of 2006, one in three televisions manufactured in Russia came from Kaliningrad, the territorys population was one of the few in Russia that was expected to show strong growth after the collapse of the USSR. 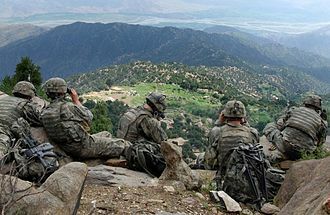 Germany currently places no claims, however it has not renounced any claims to the possibility of territory reunification. 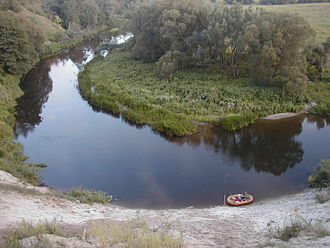 During the Middle Ages, the territory of what is now Kaliningrad Oblast was inhabited by tribes of Old Prussians in the western part, the tribes were divided by the rivers Pregolya and Alna. 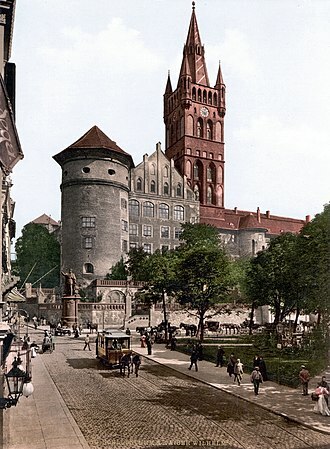 The Teutonic Knights conquered the region and established a monastic state, on the foundations of a destroyed Prussian settlement known as Tvanksta, the Order founded the city of Königsberg. Germans resettled the territory and assimilated the indigenous Old Prussians, the Lithuanian-inhabited areas became known as Lithuania Minor. 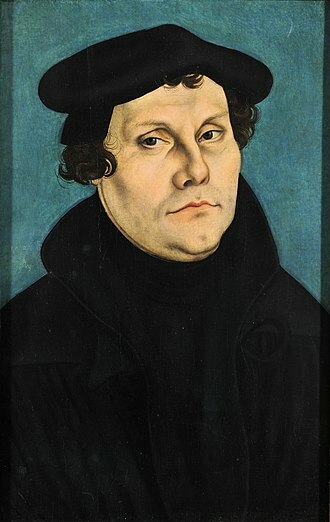 Speakers of the old Baltic languages became extinct around the 17th century, in 1525, Grand Master Albert of Brandenburg secularized the Prussian branch of the Teutonic Order and established himself as the sovereign of the Duchy of Prussia. 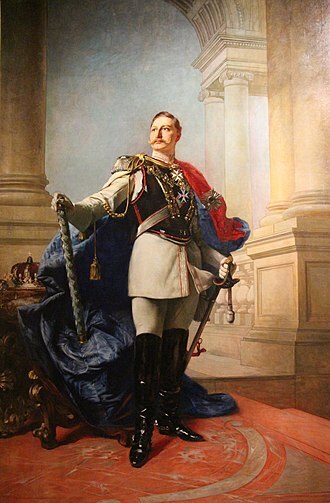 Frederick I, of the Hohenzollern dynasty, was Elector of Brandenburg and Duke of Prussia in personal union. The latter function he upgraded to royalty, becoming the first King in Prussia, from 1707 he was in personal union the sovereign prince of the Principality of Neuchâtel. He was the grandfather of Frederick the Great. 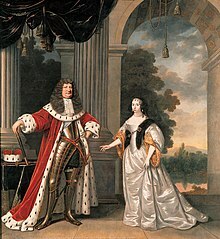 His maternal cousin was King William III of England, upon the death of his father on 29 April 1688, Frederick became Elector Frederick III of Brandenburg and Duke of Prussia. 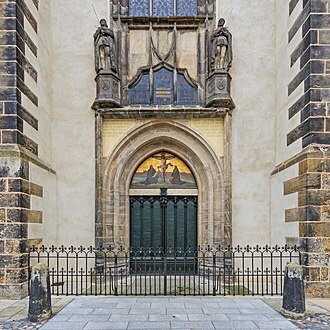 Right after ascending the throne Frederick founded a new city southerly adjacent to Dorotheenstadt and named it after himself, Frederick was noted for his opposition to France, in contrast to his father who had sought an alliance with Louis XIV. 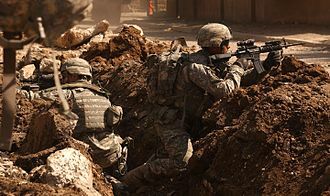 Frederick took Brandenburg into the League of Augsburg against France and in 1689 led military forces into the field as part of the allied coalition and that year an army under his command besieged and captured Bonn. 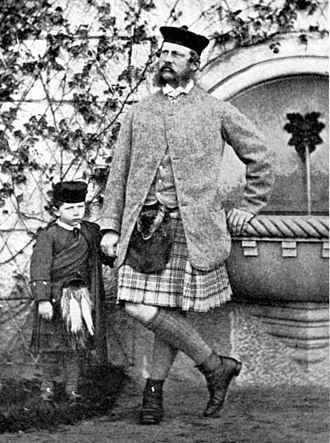 Despite this opposition to France he was fond of French culture, the Hohenzollern state was known as Brandenburg-Prussia. 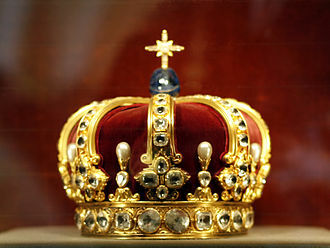 The familys main possessions were the Margraviate of Brandenburg within the Holy Roman Empire, although he was the Margrave and Prince-elector of Brandenburg and the Duke of Prussia, Frederick desired the more prestigious title of king. 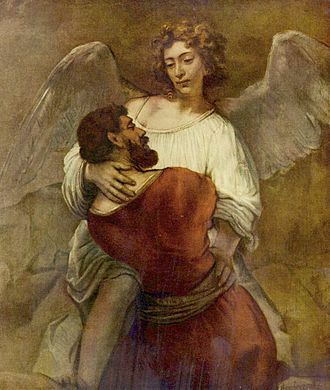 However, according to Germanic law at that time, no kingdoms could exist within the Holy Roman Empire, Frederick persuaded Leopold I, Archduke of Austria and Holy Roman Emperor, to allow Prussia to be elevated to a kingdom. 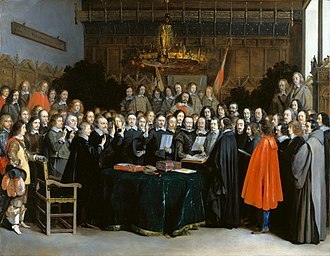 This agreement was given in exchange for an alliance against King Louis XIV in the War of the Spanish Succession. 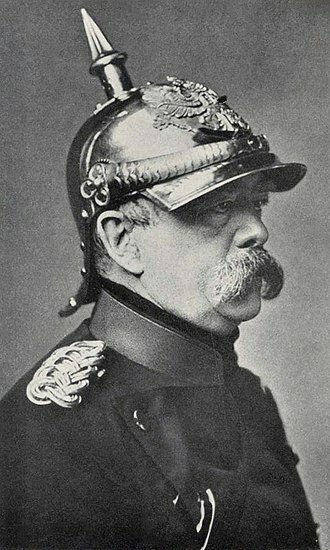 Frederick argued that Prussia had never been part of the Holy Roman Empire, therefore, he said, there was no legal or political barrier to letting him rule it as a kingdom. Frederick was aided in the negotiations by Charles Ancillon, Frederick crowned himself on 18 January 1701 in Königsberg. Therefore, out of deference to the historic ties to the Polish crown. 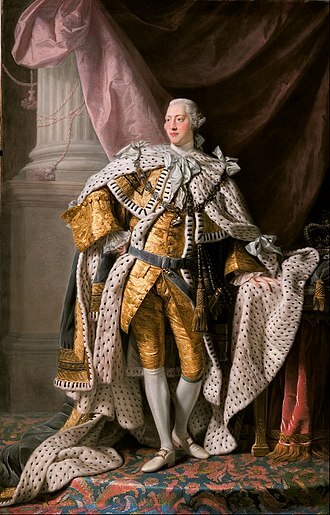 His royalty was, in any case, limited to Prussia, in other words, while he was a king in Prussia, he was still only an elector under the suzerainty of the Holy Roman Emperor in Brandenburg.